Thomas Graves was born in Thanckes, England on October 23, 1725. His first experience with Newfoundland was as a volunteer with Commodore Henry Medley's crew shortly after he had joined the navy in 1739 or 1740. He was promoted to lieutenant in 1743, and captain in 1755. Graves commanded several ships: the Hazard, the Sheerness, the Unicorn, the Oxford, the Antelope, the Téméraire, the Edgar, the Raisonnable, the Nonsuch, and the Conqueror. In the first year of the Seven Years War, Graves, in command of the Sheerness, failed to confront a French ship which gave challenge. He was tried by court-martial for not engaging his ship, and reprimanded. Graves became governor of Newfoundland in 1761. His first duty was to convoy the fishing fleet to the island. After spending the summer monitoring the fisheries and settling minor disputes, Graves convoyed merchant vessels to Portugal and then back to England. On arrival in Newfoundland in 1762 he learned that French ships had captured St. John's. Graves reinforced Bois Island in Ferryland harbour and repaired the fortifications at Placentia. He then joined Admiral Alexander Colville and Colonel William Amherst in retaking St. John's. The end of the Seven Years War in 1763 brought new responsibilities. Labrador now came within his jurisdiction, and French fishers returned to the Treaty Shore and to St. Pierre and Miquelon. Understanding the need for accurate charts, Graves hired James Cook as surveyor. Graves strictly enforced the treaties applying to the Treaty Shore, so much so that the French government lodged an official protest. However, the British authorities upheld Graves' actions. The same authorities did not respond as positively to Graves' argument that the government of Newfoundland needed to be reformed and modernised. Graves' governorship ended in 1764. After various assignments he returned to active service during the American Revolution and became commander-in-chief of the North American squadron in 1781. 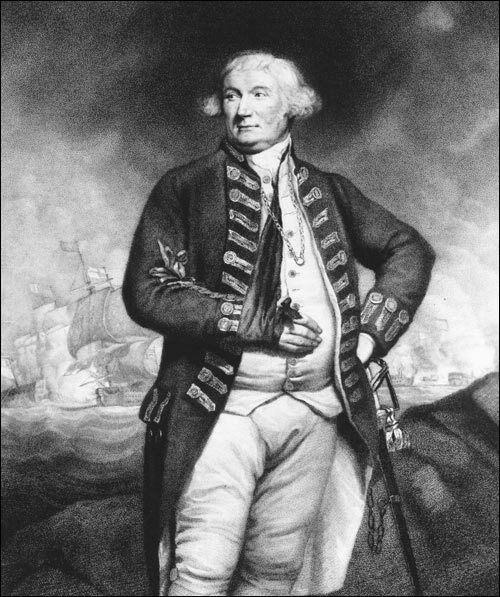 In 1787 he became vice-admiral of the blue and commander-in-chief at Plymouth. When war broke out with France in 1793 Graves was second in command of the Channel fleet in 1793, and in 1794 was made a full admiral. A successful battle against the French in 1794 earned Graves an Irish peerage. However, he had sustained serious injuries which marked the end of his naval career. He retired to his estate in Devon and died on 9 February, 1802.